Ever since we moved as a family of four, I wished to take care of cooking though I had some help with cutting veggies and cleaning the kitchen and rest of the house. Saroja doesn't cook for me nor had I expected her to do stove top for my sake. 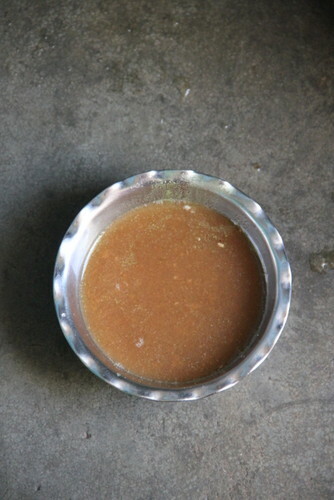 But there were times she would bring in hot flavorful simple Rasam when I was sick and bedridden. The hot bowl of Rasam with the bursting flavour of the perfect medley of spices and garlic tasted heaven for my sick and bitter tongue. Yesterday, I planned to make a surprise visit to her house as I didn't want to disturb her routine in hosting me; her ma'am. Equipped with my camera and a dish for the final photo shoot I headed around 10.30ish in the morning. She was getting ready to make lunch for her husband and herself and was getting excited to have me settled casually on the floor in the corner of her teeny weeny house watching her cook. I told her not to get nervous, be cool and carry on with the menu she planned for the day and that I will click along whatever she makes. 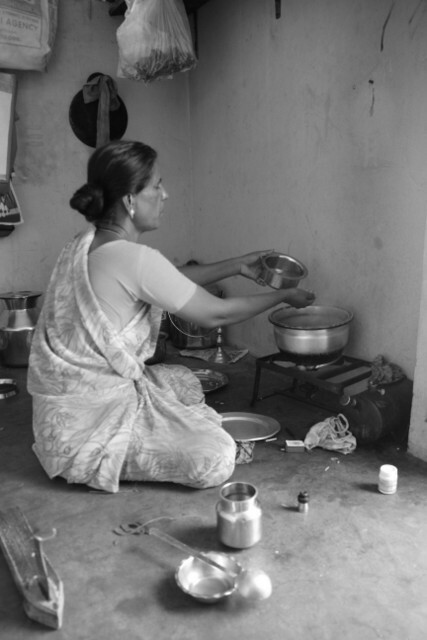 She told me Thakkali Rasam and Vengaya Sambhar or Onion Sambhar were in the day as she ran out of her stock of veggies. Wah! 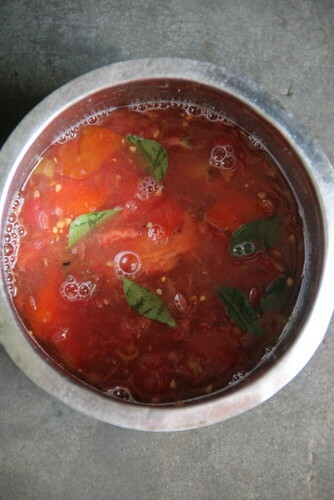 I was excited to see my favourite Rasam getting ready in a jiffy with the initial touches! I don't wish to elaborate the carminative properties of this rasam which was a boon to me while sick, right now coz I cant wait to elaborate on how she makes it..
She already had a gooseberry sized tamarind soaked in luke warm water for about half an hour and had about half a soup bowl of thinly extracted tamarind water. She transferred the tamarind extract to another vessel along with 2 ripe red tomatoes, curry leaves, hing and you can see 3/4 tsp rock salt getting into too. 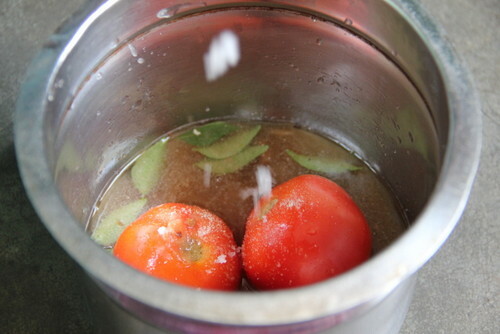 The tomatoes were squeezed using hands. 2 cups of water was mixed in. She got the spices ready for some pounding and crushing now. 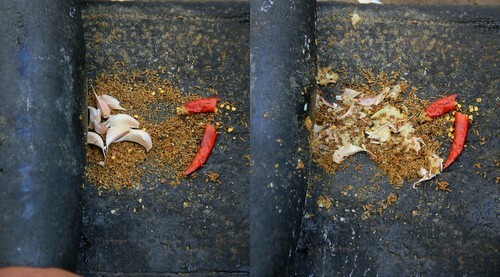 Pepper corns, cumin seeds, 7-8 cloves of garlic and a red chilly. Now, to the stove top. She heated 2 tsps of oil, spluttered the mustard seeds, browned the urad dal and poured over the tomato-garlic-spice liquid. This was brought to a single boil. She mentioned never to 'over boil' the liquid. A single 'roll of boil' and remove from fire. Close it with a lid while it's hot so that the flavours get locked in! 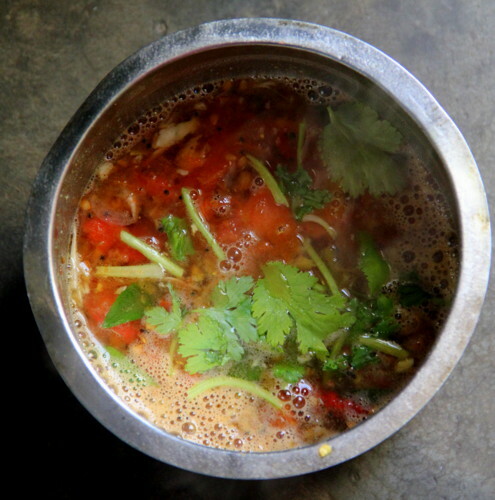 The stove was put off and the steaming hot rasam transferred back to the same vessel was garnished with coriander leaves. She did a taste test to check salt. Saroja at work :) She made Vengaya Sambhar as well and I have the pictorials of that too. 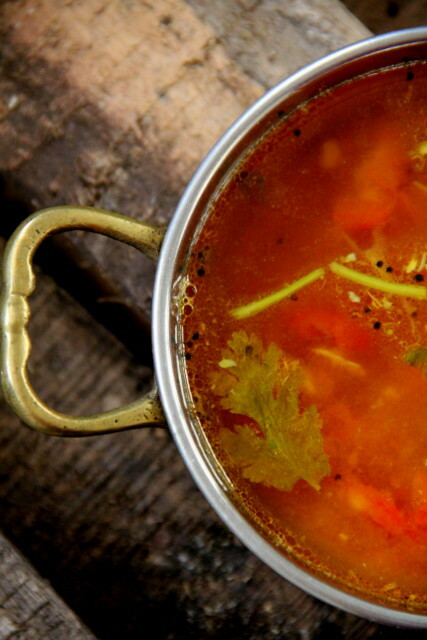 A simple Rasam doesn't need much of elaboration as I had probably done here. I wanted to make the post interesting and different with elaborate step-wise. Do you know, a few of my relatives check the culinary skills of their newly appointed cooks asking them to make a pot of rasam and tasting it :) Weird, but there is some truth in it. 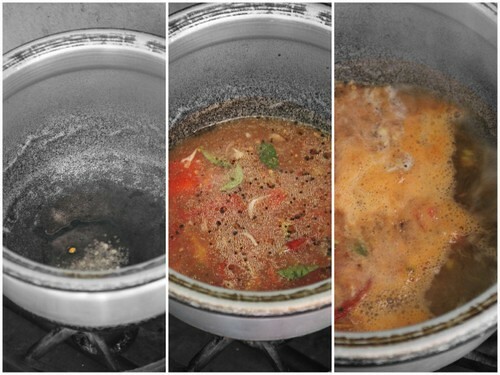 Even the best of cooks fail to attain the perfect concoction of the humble Rasam! I forgot to take along my towels/props for the final presentation and what you see here are the crude planks of wood with rusty nails jutting out here and there ( it was some task keeping the nails out of frame during the photo shoot ;)) which I managed to pick up from her backyard and then all lined up and stacked carefully , finally topped with the bowl of her steaming hot and flavorful Rasam. I am so glad to receive your happy messages, fb shared pictures and phone calls of your feed back regarding this recipe! lovely idea! it's amazing how pretty her vessels are, especially the patterned ones. Lovely post. 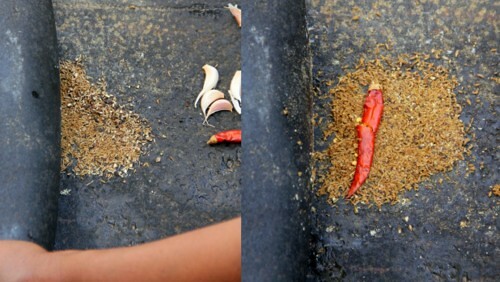 Our helps make delicious food with hardly any implements.Thanks for the lovely rasam recipe. My hubs keeps on asking me for rasam with garlic and now Ihave a recipe. its pretty ! does not required a props ! 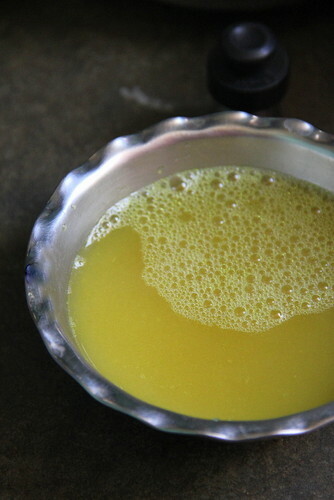 Simple rasam is a skill :) not ever one's cup of TEA ! Now u are tempting me ! Love her simple hospitality. 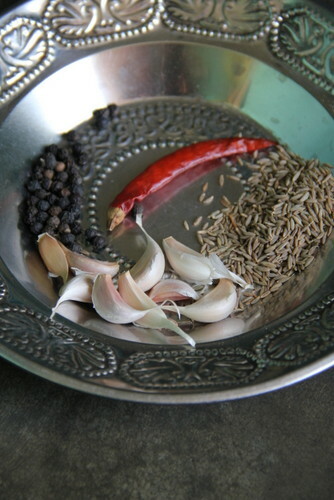 I have set the ingredients out to make this rasam today....Say thank you to Saroja from me too. 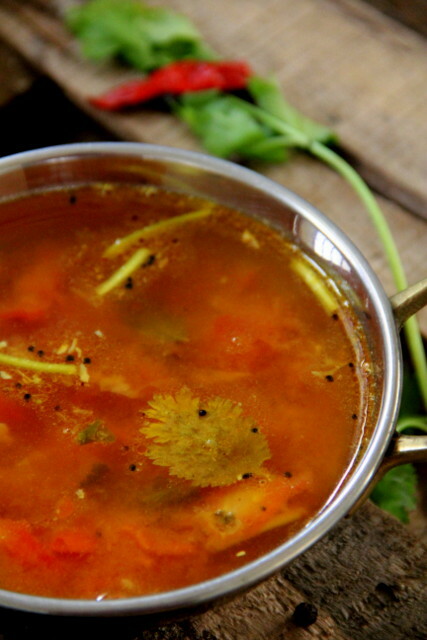 Rasam is the best comfort food... And when made by experts it just out of the world. Piping hot spicy rasam and lots of vegetables (potato, brinjal my favorites) make my meal special any day! 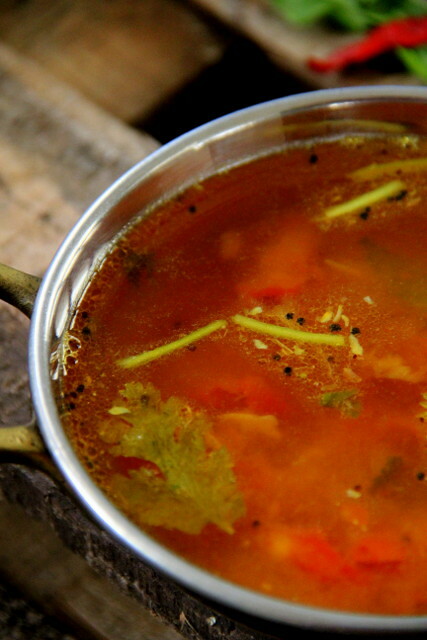 Garlic rasam - yum! Great post of the best comfort food. The recipe is simple and pictures really capture the simplicity of the recipe and the surroundings perfectly. It was a pleasure to read this post. 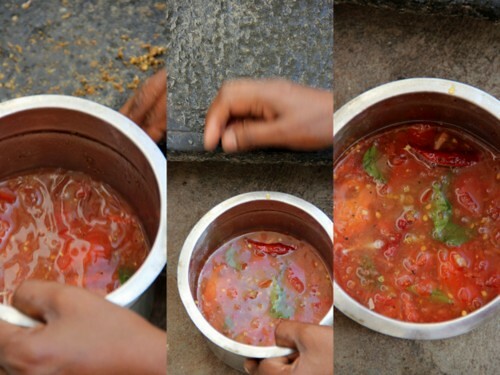 Great post, lovely clicks.The rasam must be yummy using the ammi(stone),waiting for the sambar post. 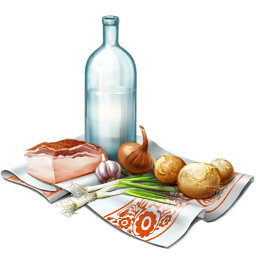 Congrats for the great post, lovely and very nutritive food! 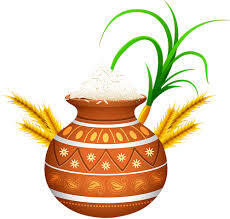 Regards for Saroja. This is amazing. I'm going to try this NOW! It is an absolute delight to read this post. It is like a documentary on rasam. Waiting for the sambar now! Btw, you should display your art works to the world soon. Looks so delicious and with the chill in the weather I am so much craving for something like this. Freshly ground masals gives the heavenly flavors to the dish. One more thing I noticed while posting the comment that there is no option where you can enter name along with the URL. 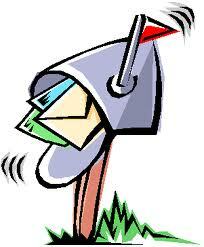 I am forced to link my G+ id while commenting.